V.A. 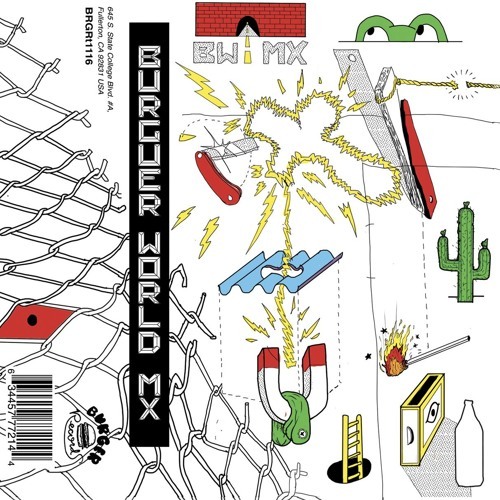 - BURGER WORLD: MEXICO 01 El Pan Blanco - El Fuzzte 02 Policias y Ladrones - Ya No Soy Tu Amigo 03 Vaya Futuro - No Puedo Respirar 04 Pure Morning - Cielo 05 Fishlights - Hunting 06 Mint Field - Club de Chicas 07 El Muertho de Tijuana - Satánica 08 Espejo Convexo - True 09 Has a Shadow - Vampire Kiss 10 OCEΔNSS - Outer Limits 11 Hawaiian Gremlins - La Unión 12 San Pedro El Cortez - Allelluyah 13 Nelson Y Los Filisteos - 2000 The Burger World compilation series chronicles the NOW SOUND happening in the unheard underground of different countries across the globe! Released on limited edition cassette and available digitally all around the world!